Hello, Spartans! 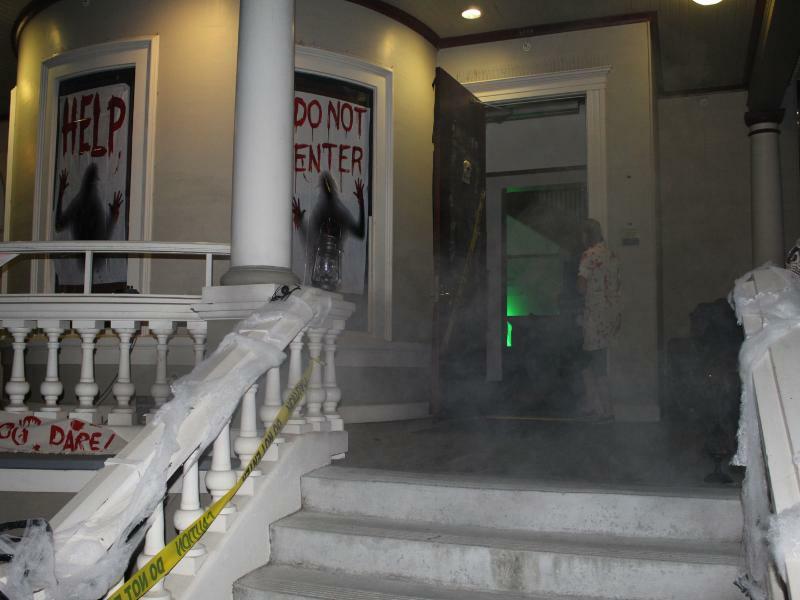 Associated Students is currently undergoing a few transitions. Tari Hunter left her role as A.S. Executive Director on October 26th. Tari joined SJSU in the Fall of 2015. During her tenure on campus, she had the opportunity to work with groups of thoughtful and committed students and staff within A.S. and the SJSU community. Tari joined Cal Poly Pomona as the new Director for the Office of Student Life & Cultural Centers. 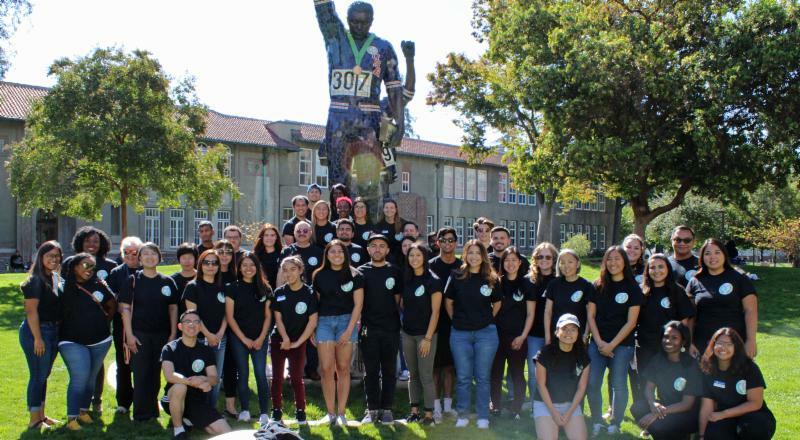 In an email to A.S. staff and student employees, Tari wrote “I am humbled by every experience and connection I have developed here at SJSU and will always appreciate the strong commitment to advocacy, social justice and student success.” We thank Tari for her years of service and wish her the absolute best with this new endeavor! Carole Dowell, who has worked as Associate Executive Director for the organization, assumed the role of Interim Executive Director effective October 26th. Carole has worked closely with the A.S. Board of Directors, A.S. departments and colleagues in the Division of Student Affairs. We are excited to see the many things she will accomplish in her time as interim. Associated Students welcomes James Westbrook as the new Finance & Accounting Manager for our General Services Center. James has a background in finance, accounting and forecasting, most recently in the non-profit sector at the Monterey Bay Aquarium. Welcome to the team, James! 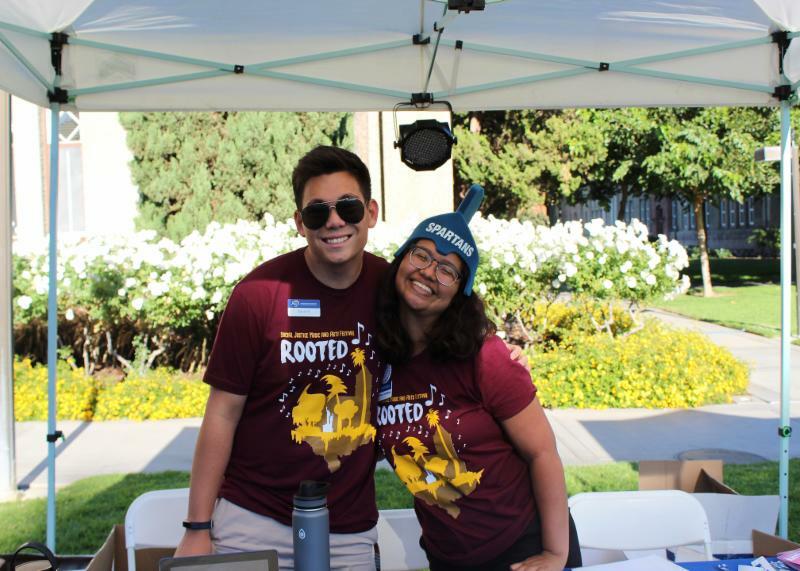 A.S. Student Government Corner is a monthly update from your Director of Communications, Kyle Norman, kyle.norman@sjsu.edu. 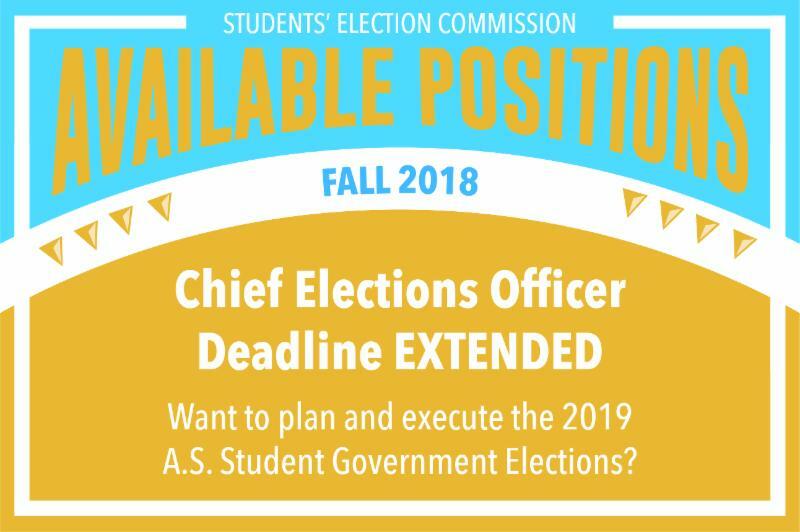 The application deadline for Chief Elections Officer has been extended to Friday, November 2nd at 11:59pm. Student-at-large positions are also available. Apply for Chief Elections Officer! Apply for a student-at-large position! 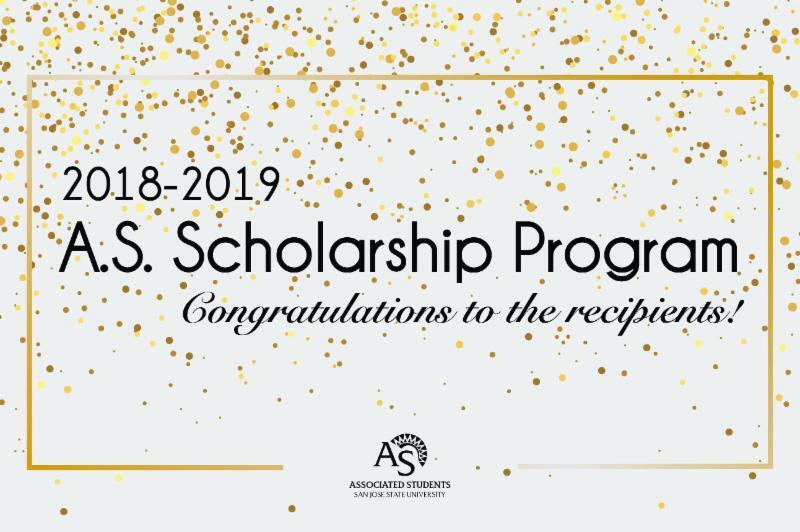 Associated Students scholarship recipients demonstrate exemplary leadership and involvement in campus and community life. Be on the lookout! We will release applications for the 2019 - 2020 A.S. Scholarships early in the Spring semester. Click here to view our recipients! The A.S. House is moving! 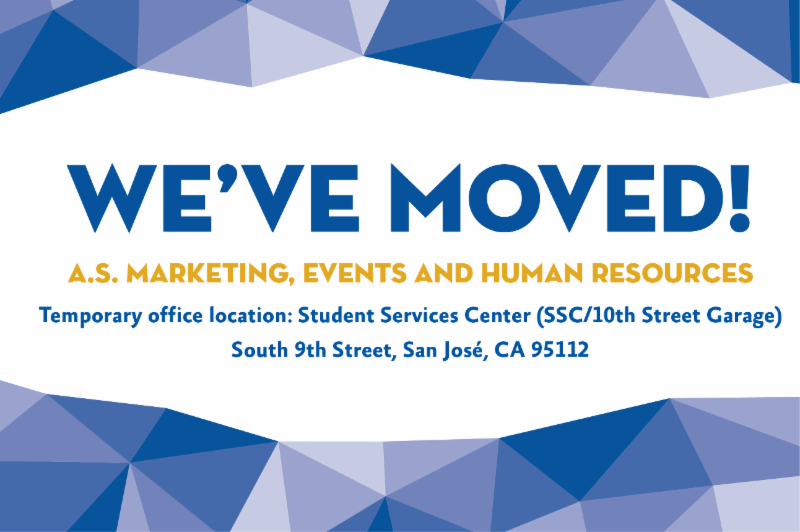 The Marketing, Events and Human Resources departments will move to temporary work spaces in the Student Services Center on 10th Street. The house will relocate in 2019 to its new location by the Lucas College of Business' Boccardo Business Complex (BBC) and the ATMs. The new Interdisciplinary Science Building will be built on the site of A.S. House. For questions, please call (408)924-6242. 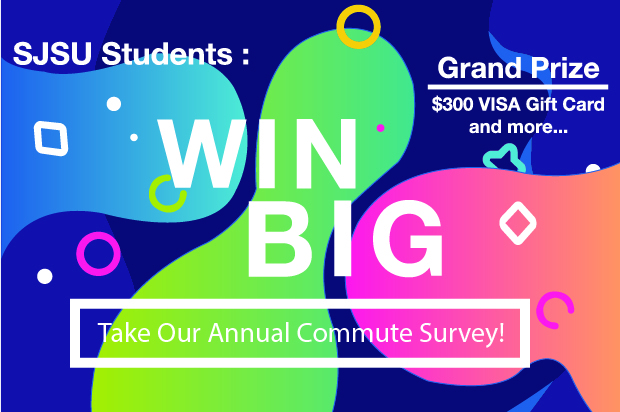 Tell us how you get to campus and be entered for a chance to win a $300 VISA gift card! Survey must be completed between November 1-15. It takes about 5 minutes to complete the survey. Other prizes include gift cards for Chipotle, Rubio's, and Peanuts Café, DeYoung Museum tickets, and more! Prize winners will be randomly selected and announced on Monday, November 19th. Questions? 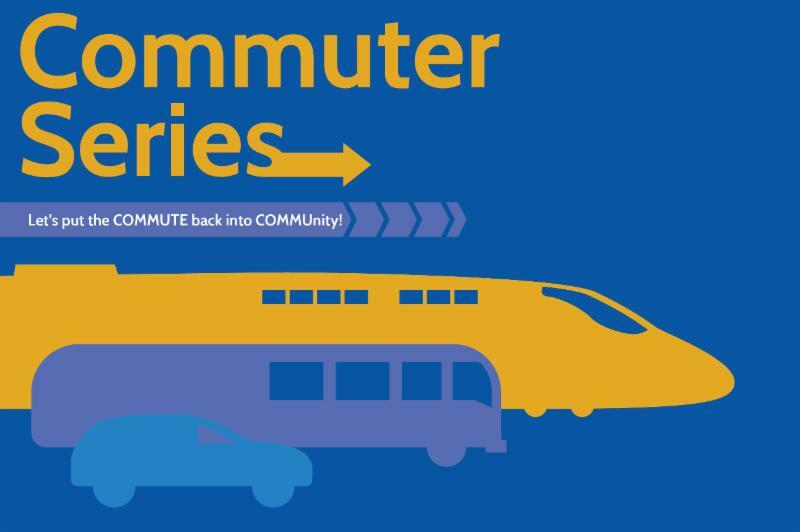 Contact A.S. Transportation Solutions at transportation@sjsu.edu or (408)924-RIDE. Looking for a job? Love working with kids? 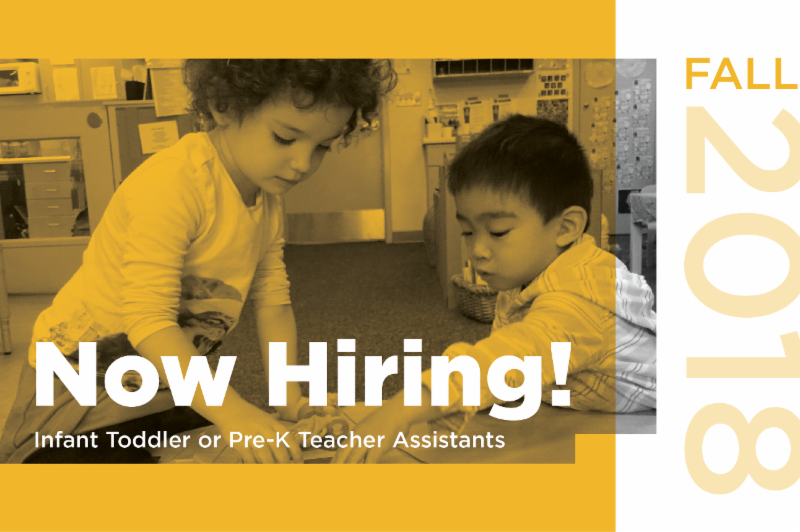 Look no further, our accredited Child Development Center (CDC) is currently hiring! 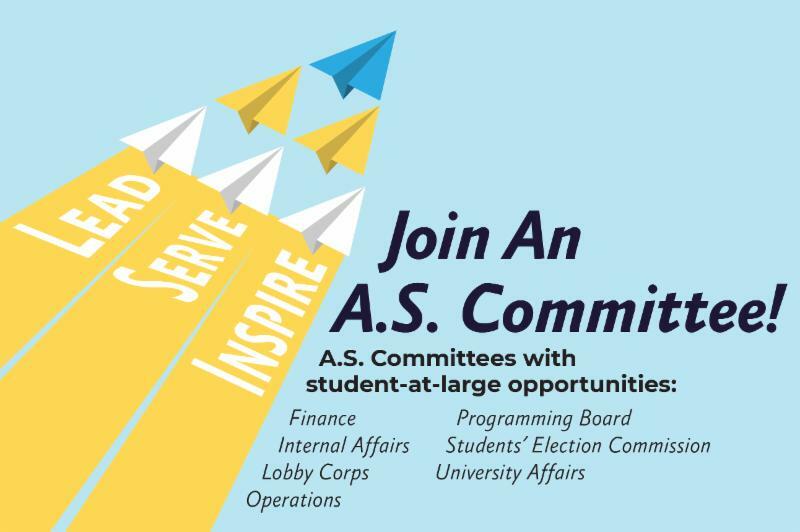 Join an A.S committee today! Advocate for yourself and on behalf of your fellow students! To learn more, click here . Questions? 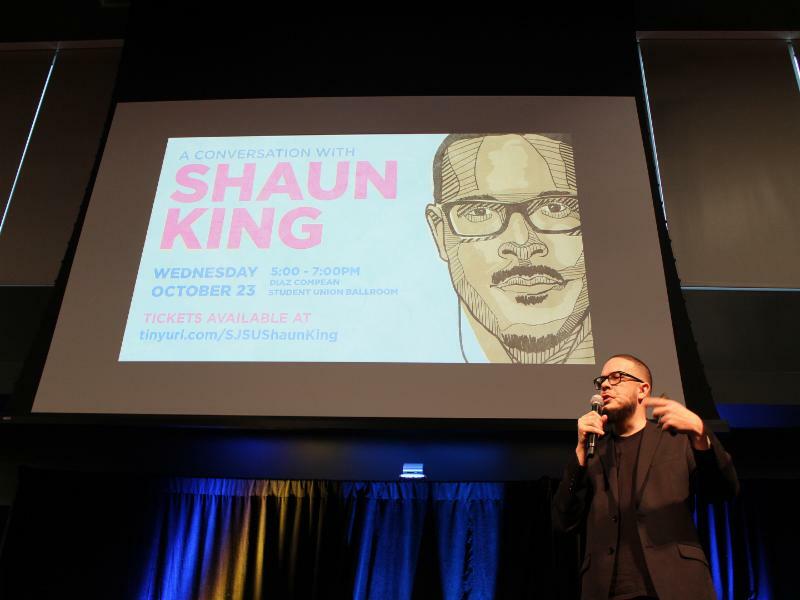 Contact Christy Riggins, Government Executive Assistant, at (408)924-6240 or christy.riggins@sjsu.edu. 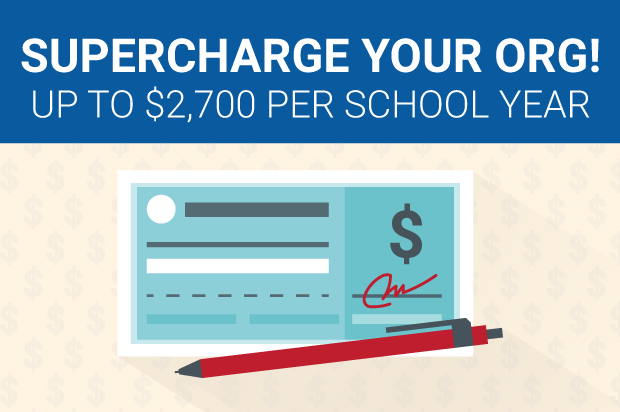 Associated Students offers up to $2,700 per year for your Recognized Student Organization. To learn more, click here . Associated Students has a full calendar of events for you. To view the A.S. calendar, click here. ﻿ The Power of the Student Vote forum with Elected Officials hosted by A.S Lobby Corps, SJSU Votes, and Silicon Valley Leadership Group. Elections Results Viewing Party hosted by A.S. 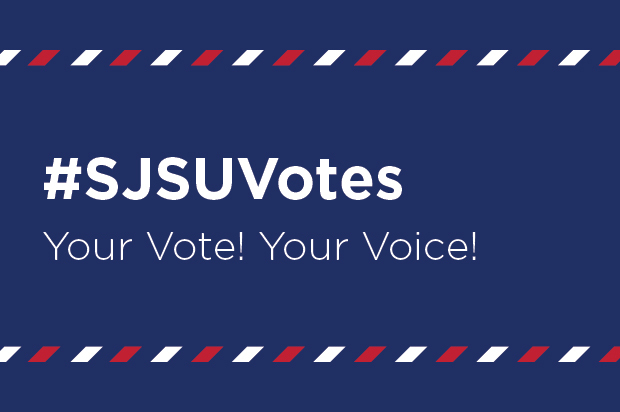 Lobby Corps, Pi Sigma Alpha and SJSU Votes. Questions? Contact Grace Pang, A.S. Director of External Affairs, at grace.pang@sjsu.edu. ﻿ Join us for some laughs at this free Saturday night event! 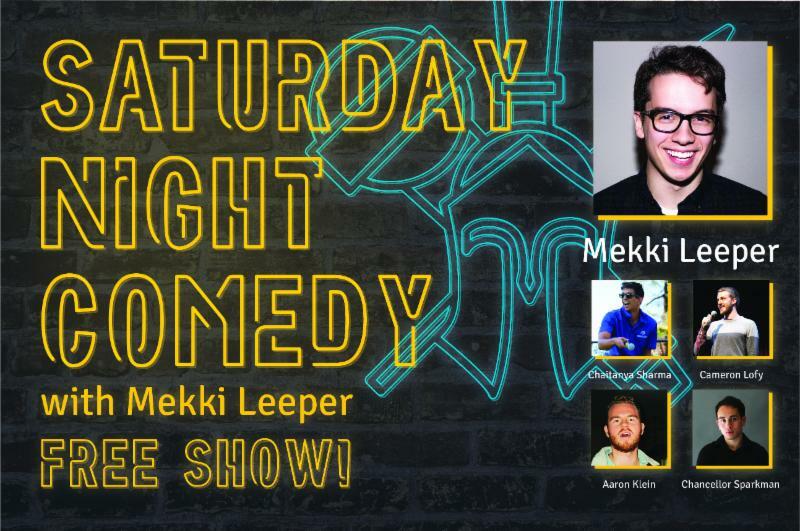 Headlined by Mekki Leeper with performances by All Comedy SJSU! Mekki has been featured on New Girl, NPR, College Humor, and Comedy Central. All Comedy SJSU performers: Chaitanya Sharma, Cameron Lofy, Chancellor Sparkman, and Aaron Klein. Food & beverages provided. Jokes while supplies last. Questions? 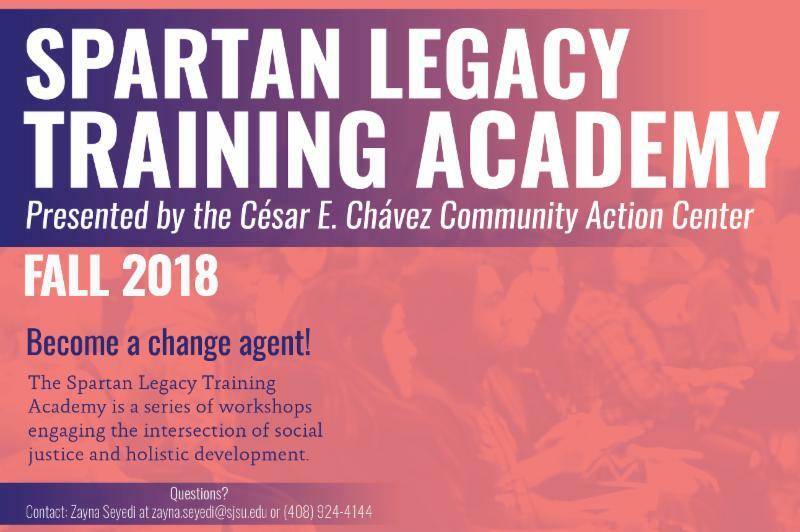 Contact Samantha Cardenas at samantha.cardenas@sjsu.edu or (408)924-6297. Visit our table for quick self-care tips and tricks. Free swag. Questions? Contact Kameo Quenga, Director of Co-Curricular Affairs, at kameo.quenga@sjsu.edu. The third and final workshop in this semester's series is Social Media Survival Guide: Harnessing Your time and Energy. Become a change agent today! Questions? Contact Zayna Seyedi at zayna.seyedi@sjsu.edu or (408)924-4144.